Shipping to mainland France, overseas departments, overseas territories and international markets? The transport company "DPD France" or "DPD intercontinental"
Thus, 180 cm markers, plus cones and 60 cm hoops, taking up more volume are shipped by DPD France or intercontinental . While pre-packaged DVDs or educational packs are shipped by COLISSIMO followed or COLISSIMO International Tracking . What are the delivery times ? 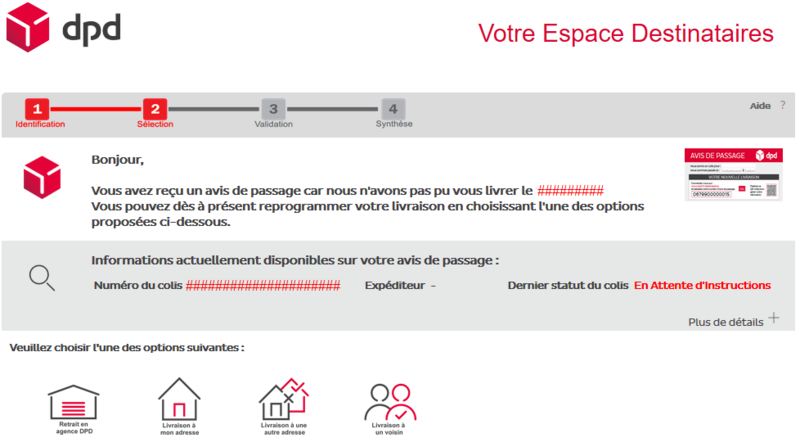 The delivery times to mainland France by COLISSIMO followed or TRANSPORTEUR (DPD France) are the same and do not exceed 48 hours (Delays found), once the order is shipped. For other destinations ( DOM, TOM and International ): Delivery times depend on the distance. Generally from 4 days for Europe to 15 days to another continent. What is the cost of delivery to mainland France? For all orders to France mainland, the delivery costs are displayed in real time in the basket containing the products. All prices displayed are inclusive of VAT (all taxes included).The shipping costs to France mainland are FREE from 99 euros purchase. What are the shipping costs to the DOM, TOM and international? On the shopping cart page, once your products have been selected, click on the "Shipping Rates France and International" link and select the country of destination of your order. If you are absent at the time of delivery? For all deliveries to mainland France, the French overseas departments and territories, whether by COLISSIMO or TRANSPORTEUR (DPD France), in case of absence from your part at the time of the delivery of the driver, this one leaves in your mailbox a notice Of passage. For COLISSIMO , the notice of transit tells you which post office and from which date you can withdraw your packages. Withdrawal of parcels at the nearest DPD France yard. For international deliveries, it is important to provide us with your telephone number at the time of creating your customer account so that we can send it to the deliverer so that it agrees with you of a new passage. It is important to note that it is your responsibility to make reservations in case of damage, loss or missing. All reservations must be accurate and state the nature and extent of the damage and the quantity for each missing or damaged product / reference. To do so, you must notify your reservations on the delivery receipt that you request to sign the deliveryman or the postman. Then by registered letter with AR to the carrier, within 3 days of receipt of the package (s). All these two measures are necessary in order toE to question the liability of the carrier. Otherwise, the equipment is considered to be delivered in good condition and no recourse against the carrier is possible. Warning ! The form "subject to unpacking or damage" has no legal value and will not allow you to be compensated. As a result, we recommend that you be particularly vigilant at the time of delivery.